They stand side by side on a bare stage, 10 gifted young performers with 10 stories to tell. One by one, each steps forward to offer a bit of monologue, the staging and the confessional nature of the soliloquies recalling the venerable musical "A Chorus Line." But "Body House: a jazz tricycle," playing the Steppenwolf Theatre Studio, is no razzle-dazzle ode to show business. Rather, it's an often dark, passionate and vulnerable look at sexuality, as it is perceived by teenagers. Like "A Chorus Line," "Body House" draws its "script" from real-life observations, but the language here is poetic and intentionally ambiguous. So the show is ultimately about the fears, doubts and desires that adolescents everywhere experience. If all this sounds a bit nebulous, that's precisely the idea. By combining elliptical spoken phrases with vocal chant, instrumental accompaniment and freely expressive motion, the performers touch on ideas that transcend any sense of plot, character or message. Here's a piece that more closely resembles a jazz performance, its brilliant solo riffs alternating with volatile ensemble passages. 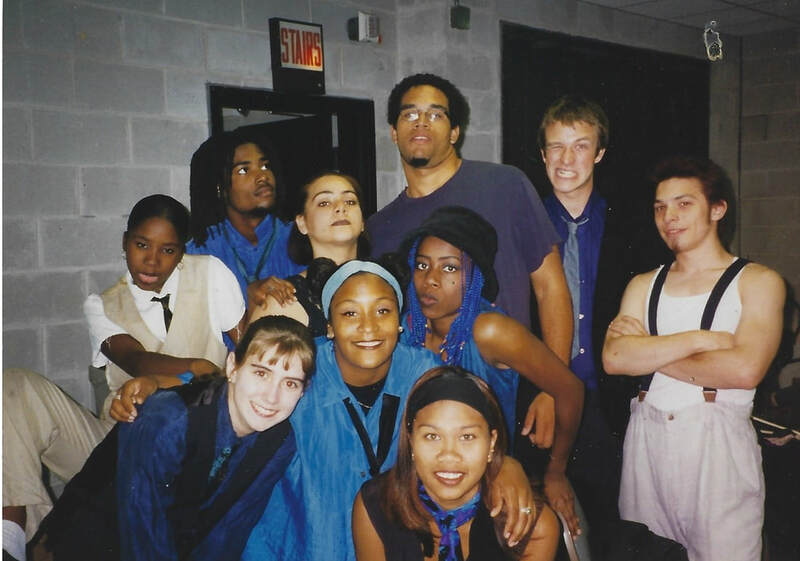 Performed by TeenStreet, a project of Chicago's long-running Free Street Theater, "Body House" above all attests to the expressive and technical abilities of this cast. That these young artists can move so effectively, play instruments so adroitly and read their lines so sensitively helps explain why this show won glowing press during a recent European tour. ​It's important to note, however, that a performance piece as unconventional and elusive as this will not appeal to all tastes, and especially not to youngsters who prefer ideas stated in clear and forthright terms. "Body House" will make its deepest impression on viewers open to stream-of-consciousness prose, audacious jazz improvisation and jarring shifts in mood and tone. That director Ron Bieganski has produced such honest and unaffected performances says a great deal not only about his abilities but about the ample skills of his young cast, as well. "Body House: a jazz tricycle,"
To watch TeenStreet Theater perform is to be offered a window into the tumultuous and often painful world of inner city adolescence. To watch TeenStreetTheater rehearse on the other hand, is to be thrown head first into the process of creative expression and the joy of being young. Founded in 1992, TeenStreet bills itself as a "jobs training program" for Chicago's low income teenagers. Unlike most job training programs, however, TeenStreet demands a high level of commitment from its participants, intense personal introspection, and a serious quality of performance. The program is not without its rewards. Teens learn the importance of regular attendance, experience the benefits of working in a team atmosphere and the thrill of performing to a packed house. 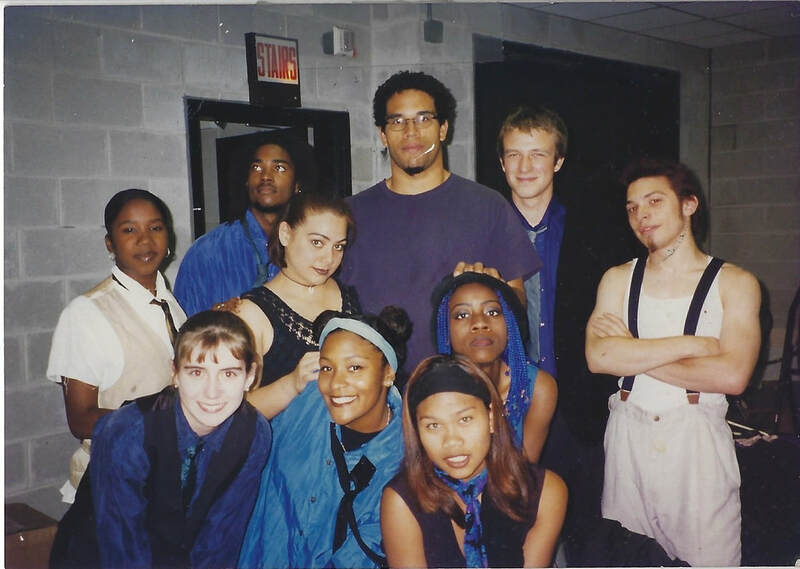 In late October I had the privilege of sitting in on one of TeenSteet's final rehearsals for their 1996-7 show, "Body House: A Jazz Tricycle." The following is a description of my experience there, of the energy of the TeenStreet performers, and ultimately of the power of this program. "Eyes all shut up like you are trapped in your body house." The line comes spilling out of a tall, well-built teen. Shaking his dreadlocked head for emphasis, he delivers the title line while sitting in a yoga-like position on the floor. Having finished a season of performances, this final rehearsal is casualQa refresher before the closing show. Founder and director Ron Bieganski is leading six of the ten participants in a series of stretches. The cast is doing a simple read through of the script, and Bieganski is encouraging the use of "crazy voices" to keep the material new. The lines shoot rapid-fire out of the teens. It is obvious that they know the script; not only is it old hat after six months of performances, it is their own work. At TeenStreet, participants write the script. The final script is the creation of Bieganski who has harvested the raw material from journals which are produced during the first months that the cast meets. Using theater techniques, Bieganski takes the teens through a series of writing exercises. "I think this is where being teens comes into it," explains Zac, a TeenStreet performer, "we easily get to emotional levels. Ron is a puppet-master who brings it right up to our skins." It is this emotion that packs a powerful punch to audiences and is one reason that past TeenStreet performances have won critical acclaim from Chicago's theater community. "Body House" has met with excellent reviews. A reviewer from the The New City News writes "they infuse action with raw vulnerability and triumph that opens one's eyes to the premature adulthood faced by so many youths of the nineties." Performed by ten of these youth, "Body House" is a love story of sorts, a poetic description of the pain and pleasure of adolescent romance. The script is written in spontaneous prose and is accompanied by the sounds of tambourines, xylophones, and erratic drumming. "You like speed?" "I DON'T like limits." The rehearsal continues under Bieganski's gentle and creative direction. Rather than chide the actors for creating distractions, Bieganski himself becomes the source of them, darting around the stage, climbing on the radiators, and encouraging a freedom of movement. When the action on the stage reaches fever pitch, performers are snaking around the stage on their stomachs, hanging from the rafters, and beginning to lose their lines. "We're losin' it," Bieganski calls out, "let's re-center." Bieganski's attitude and demeanor are reflective of TeenStreet, the employment program. Participants are paid $5 an hour, six hours per week during the school year. Summer hours entail a full-time rehearsal schedule with three shows per weekend. Pay can, and will, be docked for a lack of attendance. For many teens coming from Chicago's lowest-income areas, this is their first brush with the intensive discipline and commitment required from the program. "There are some Saturdays that you just don't want to get up," explains a TeenStreet participant. Yet when her younger brother arrives at rehearsal to pick her up he is sent away with the admonishment, "You are early- come back in an hour." The hard work of the TeenStreet cast is not without its tangible rewards. Funded by money from the Mayor's Employment Training Program and private dollars, TeenStreet concludes each season with a European Tour. "Body House" spent the final three weeks of the summer in Germany. "Maybe if I were someone else, this would be easier." This line, sighed during the script read-through, is only one moment in a piece filled with poignant and revelatory moments, but the existential state of adolescence seems to hinge on its meaning. TeenStreet recognizes this sentiment in all its performers, but does not shy away from its reality. Taking on the very unique needs, fears, and insecurities of inner-city teens, TeenStreet works to overcome them. Audition announcements state three times that, "If you are serious about your audition piece please come to coaching. We will work with you so you can do your best!!!! " Bieganski inquires about a cast member's aching back. It is obvious that a sense of community has been built, a sense of confidence has been fostered. Rehearsal is ending, and a team of kids from a local high school walks in with a video camera. They are here to do a story on TeenStreet for their journalism class. Suddenly, it becomes clear that in the year since their first work with Bieganski, these teens have become performers. At the sight of the camera, their antics increase. The lines are slowed and delivered with articulate accuracy. They move around the stage with purposeful strides and begin making eye contact with their limited audience. This is their last shot at TeenStreet fame, auditions have begun for the next season, and they must re-audition for a second chance to participate. During his final pep-talk, Bieganski is interrupted by one of the teens, "Now Body House dies...", she observes. Bieganski argues--it doesn't die, it moves on to join the ranks of past performances. The cast is obviously sad. The sadness is momentary, however, as they stand up to run through the show one more time. The energy comes rushing out. "I eat, jump and hug at the same time. I am powerful because I can fly," recites one performer. It seems to sum up the work of TeenStreet, the important work of helping teens understand their strength. BODY HOUSE--A JAZZ TRICYCLE, TeenStreet. In his program note, director Ron Bieganski explains that TeenStreet's goal in creating Body House was to write from "inside music," a phrase borrowed from Ralph Ellison. The music the ensemble chose was free jazz, and the results of their immersion are unsurprising: a live jazz combo, faux-50s jive hipness, and a disjointed text full of poetic dissonance. The teenage performers recite original surrealist poetry ("There's a pool at the edge of the sun with a diving board and a juice bar," "The stillness measured 8.2 on the Richter scale"), play a funky version of Follow the Leader, scream and jump, and generally throw all inhibitions to the wind. As an exercise in creative self-expression, the piece is an undeniable success. But as theater it's a hopeless muddle, so visually, acoustically, and textually cluttered that little of it has any real impact. Bieganski's performers present, then endlessly reiterate their poetic metaphors rather than develop them; in this 90-minute piece, minute 3 is indistinguishable from minute 85. Furthermore, Bieganski pushes the actors to such stylistic extremes that there's hardly an honest moment. Self-expression is a wonderful thing. But teenagers with this much interest in the performing arts would do better to study how form and structure--not to mention intelligible diction--can make creativity coherent.